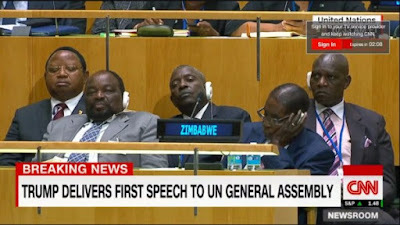 Zimbabwean President Robert Mugabe is making the news again. 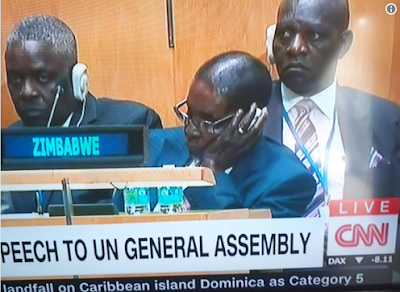 Mugabe who made headlines when he arrived with over 60 delegates for the 72nd United Nations General Assembly is in the news again! This time, the President was seen with his head in his hand dozing off as President Trump gave a patriotic speech.